In the midst of all of the ringing bells and sweet-sounding whistles of the holiday season, there is something quite beautiful in the middle of it all – magical moments. Precious moments when a gift is opened, hearts melt, eyes sparkle and genuine grins of gratitude and joy spread across blissful faces. And these very moments are easily considered a Loggins Jewelers’ specialty. 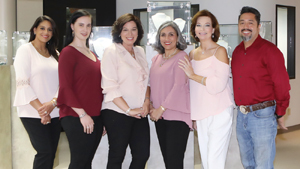 Owned by Susan DeBakey and her sister Jennifer Pappas, Loggins Jewelers is a full-service, independent, custom jeweler in Sugar Land that has been the chosen place for people looking to turn a personal gesture into a moment that is priceless and forever remembered. The wedding planning company WeddingWire says 40 percent of all engagements occur between Thanksgiving and Valentine’s Day and that Christmas Eve and Christmas Day are the most popular days of the year for the big question to be asked. Engagement expert DeBakey knows this all too well. And maintaining the integrity of all of these individual, intricate moments is important at Loggins Jewelers. As a family-owned and operated jeweler, Loggins Jewelers never treats customers as potential sales, but as friends looking for expert and honest advice on the best of authentic stones. 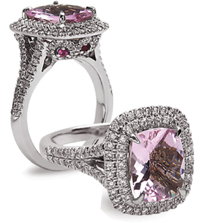 Colored diamonds, such as pink diamonds, are a new trend for engagement rings like this piece by Charles Krypell. 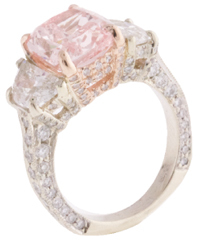 While Loggins Jewelers provides traditional jewelry options, it is not limited to such. This jeweler, which has been in business for more than three decades, has the ability to uniquely tailor a piece to the needs and desires of the customer, and any limitations on custom work are found only in the customer’s imagination. Rubies and diamonds by Charles Krypell. Loggins Jewelers provides a combination of specialty services including master-jeweler custom designs and repairs, quality consignment estate pieces, engagement lines and custom design, formal and casual jewelry lines and on-site custom laser engraving services. 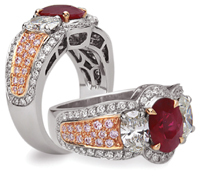 The jeweler also offers a premier customer dedication that has always been its the foundation. It is woven into every facet of the company, which is why a customer rarely visits Loggins Jewelers just once — they continue to build their collections with a name they trust. 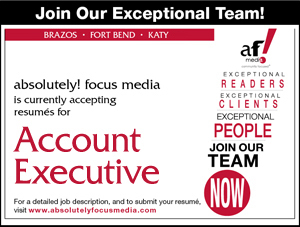 This, however, is not the case at Loggins Jewelers. Devoted to remaining the most respected name in the jewelry business, Loggins Jewelers minds the “five Cs” of diamonds: color, clarity, cut, carat weight and creation, or rather if the stone was created naturally or by man. Loggins Jewelers knows where all of their vendors source their work, so customers can be sure they are getting only naturally created, top-rated stones. Jude Frances appeals to women wishing to build and adopt their fashion jewelry collection to accessorize for every occasion. 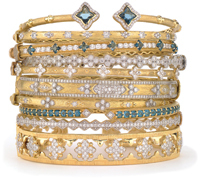 From 18k gold to diamonds to sterling silver with white topaz, and a rainbow of gems in between, stackable bracelets are a fashion charmer. This holiday season, shoppers need to look no further than Loggins Jewelers. With its reputation of exemplary customer service, easy access and relaxing and attentive atmosphere, Loggins Jewelers offers customers a chance to take an important moment and make it magical. Whether wrapped beneath the tree, presented at the stroke of midnight on New Year’s Eve, or slid on her finger during a romantic Valentine’s dinner, there is no better time of year to give her that “jingle bell rock,” said DeBakey. The Loggins Jewelers’ team: Angie, Carlye, Stephanie, Ann, Susan and Omar. Photo by Alisa Murray Photography. 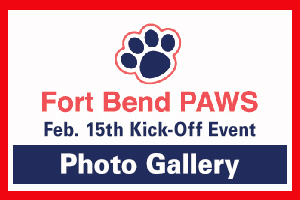 Loggins Jewelers has established itself as the premier place in Fort Bend to find the finest and the most fashionable jewelry through its choices of designers — revered creators whose quality works are in line with exactly what Loggins Jewelers customers have come to expect and love. A visit to the store will expose customers to some of the most innovative jewelry creations on the market. Four generations of the French Der Calousdian family are behind this modern chic line graced with a just a touch of old-world charm. 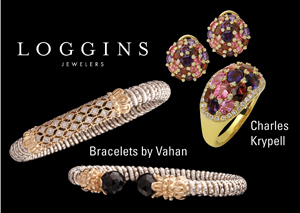 World-renowned for their elegant designs of silver and gold sprinkled with diamonds and semi-precious stones, Vahan rings, necklaces, bracelets and earrings are both classic and timeless, and as versatile and feminine as the women who collect them. Charles Krypell, a brand synonymous with luxury, craftsmanship and quality, is recognized for award-winning styles and trend-setting designs. His designs cater to a broader clientele who may want all of the beauty of color at an affordable price. Krypell’s line is noticeably wide and diverse with something for everyone at every age. Using a blend of gothic and edgy designs that feature symbols of protection and good fortune, designer Cheryl “Finn” Finnegan created unique statement pieces that are both spiritual and fashion-forward. 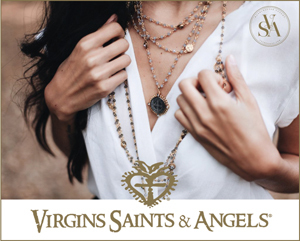 Virgins Saints & Angels is handcrafted by skilled artisans in San Miguel de Allende, Mexico. Each bead is hand strung, each medallion is hand painted and each crystal is handset. In addition to being a full-service jeweler that promises to “find anything, design anything and fix anything,” Loggins Jewelers is also an enthusiastic advocate for supporting research of Alzheimer’s. 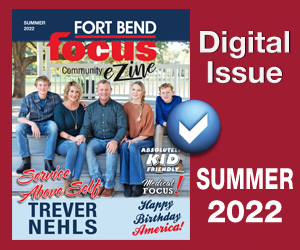 The first year for the store’s Angels for Alzheimer’s Scholarship fund – awarded to five students in Fort Bend – is only the beginning of Loggins’ efforts to find a cure for Alzheimer’s. 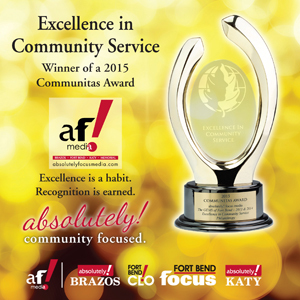 LOGGINS JEWELERS – Visit 14015 Southwest Freeway in Sugar Land Tuesday through Sunday or call 281.242.2900.